No one expected this announcement from Bandai Spirits, much more a whole new project for these kits. 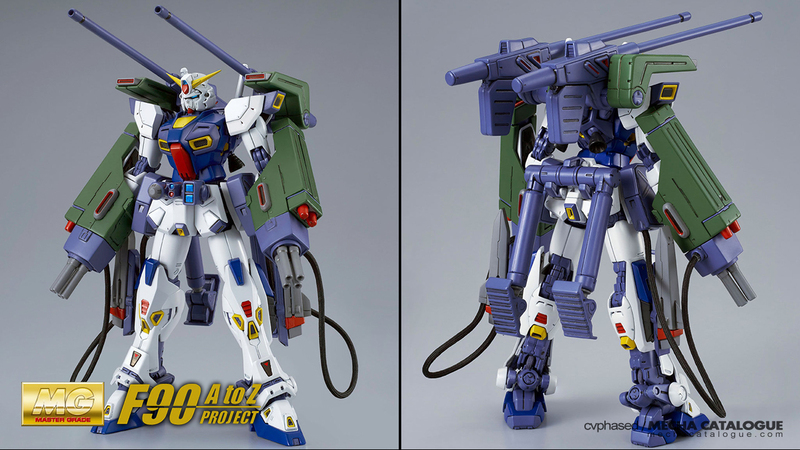 Before we had the Strike Gundam and its Striker Packs, the Impulse Gundam and its Silhouettes, and the Narrative Gundam and its various packs, the Gundam F90 from the manga prequel Mobile Suit Gundam F90 originated the concept of modular and specialized mobile suit equipment. The manga is relatively obscure when compared to the much loved <em?Crossbone Gundam. And now we are getting Master Grade kits of each as part of the “F90 A to Z PROJECT“. First up is of course the core mobile suit, the Master Grade Gundam F90. 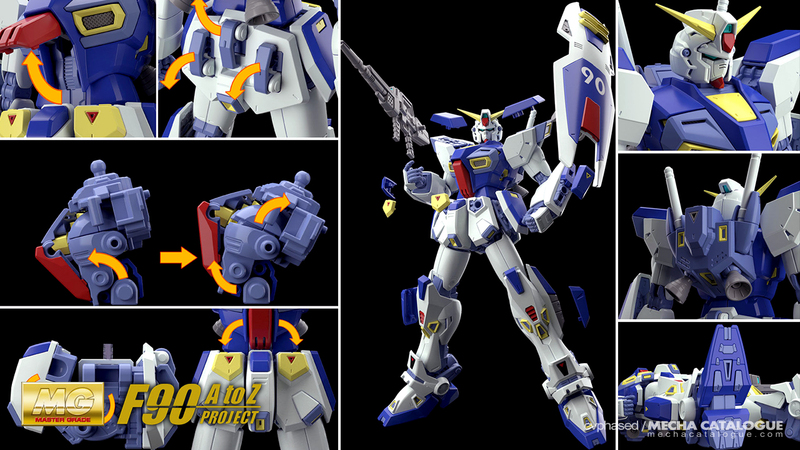 It really doesn’t look like a design predecessor of the F91 if not for the shoulder radiator fins. Heck it’s not even equipped with a beam shield. Regardless, the kit itself has an internal frame with multiple points of articulation in mind despite being smaller. The armor components are also designed to be modular, with hidden hard points to attach the various “mission packs” as they call it. These mission packs are usually comprised of backpack, shoulder, front armor, and forearm parts or weapons. Going through the alphabet, the first set would include the E-Type and S-Type equipment corresponding to the “electronic warfare” or reconnaissance and support types respectively. 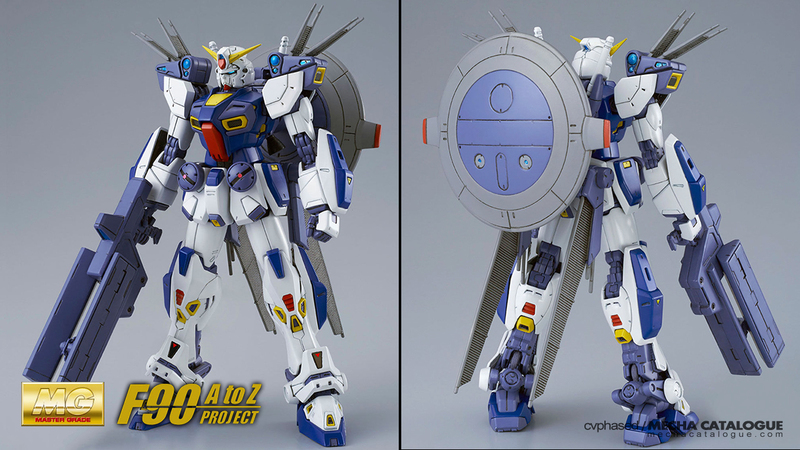 Okay, I don’t think there are an alphabet’s worth of Gundam F90 variants based on the F90 A to Z PROJECT page. Though 6 variations are listed which, when grouped by two, translates to three more mission pack releases. 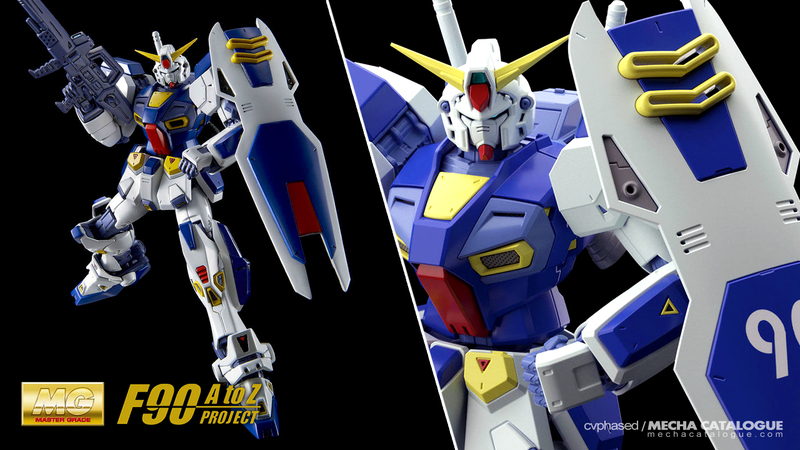 Another question is whether this would also mean Master Grade kits of the Gundam F90II and its variations, but let’s leave that for another post or when Bandai Spirits decides to go that route.